For homogeneous and isotropic probes, different MR relaxometry methods are expected to yield consistent results. For tissues, however, wide-spread T1 and T2 relaxation times are reported in the literature. Especially in the brain, we hypothesize that the microstructure, e.g. 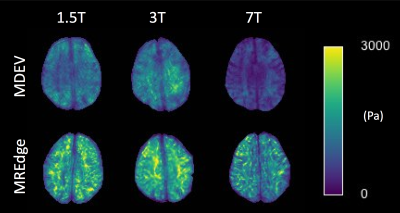 the presence of myelin, affects the apparent observed T1, as assessed by different imaging sequences. As a result, apparent differences in T1 might reflect valuable information on the underlying tissue microstructure, such as myelination. 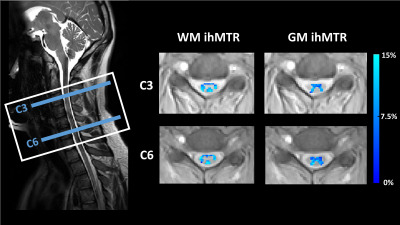 Inhomogeneous Magnetization Transfer (ihMT) shows promise as a myelin-specific MRI technique. Recent publications demonstrate that ihMT contrast is generated by long-lived dipolar couplings between protons on lipid molecules. We tested ihMT’s myelin specificity by comparing it to a more validated myelin measure, myelin water fraction (MWF), in 10 healthy volunteers. The ihMT ratio (ihMTR) correlated with MWF in white matter but MWF had a larger dynamic range. When MWF was zero, ihMTR was non-zero, supporting that ihMTR arises from all lipid molecules, not just those in myelin. ihMTR and MWF measure different, and complementary, aspects of tissue structure. Methods for quantitative measurement of myelin are of great interest for understanding brain tissue microstructure, and have potentially important implications in clinical settings for improved diagnosis and prognosis in demyelinating diseases. Quantitative Magnetization Transfer (qMT) has been proposed as a sensitive MRI technique for myelin mapping in the central nervous system. However, after an initial wave of interest, it has never found a successful translation into a clinical scenario, mostly due to its prohibitive scan time. Here we investigate solutions to promote the development of fast qMT protocols including simultaneous multi-slice EPI, and provide preliminary results in vivo. We validate the use of non-linear signal phase evolution to estimate the susceptibility and orientation of sub-voxel structures. Capillary tubes filled with ferritin solutions of varying susceptibility were positioned in a water phantom. Multi-echo gradient-echo scans (100 echoes, echo-spacing=0.6ms) were acquired for multiple orientations of the capillaries with respect to the magnetic field. Fitting a 2-compartment model to the complex signal, processed using frequency difference mapping (FDM), resulted in susceptibility and signal fraction estimates in good agreement with theoretical predictions. Non-linear phase evolution, processed using FDM, may provide new insight into microvascular structure and physiology. Quantitative assessment of water fraction, relaxation time, and frequency shift using a multi-compartment model can be useful in understanding diseases and disorders affecting the human brain. 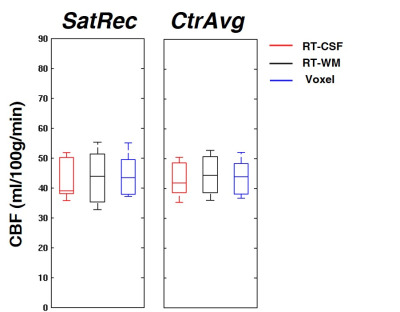 We aimed to explore tissue microstructure information contained in voxel signals by analysing voxel compartment water fraction, $$$T_2^*$$$ and frequency shift derived from 7T multi-echo gradient recalled echo MRI data. We recruited four patients with focal cortical dysplasia and compartmentalised normal and dysplastic cortical regions. Parameterisation of tissue characteristics in focal cortical dysplasia can potentially delineate cortical areas which have undergone microstructural changes. This provides a promising framework for studying neurodegenerative processes. Proper quantitative assessment of myelin water fraction (MWF) using a multi-compartment model can be useful in improving our understanding of white matter diseases, however, MWF model estimates have been shown to be affected by model settings and also by T1 values of the myelin compartment. 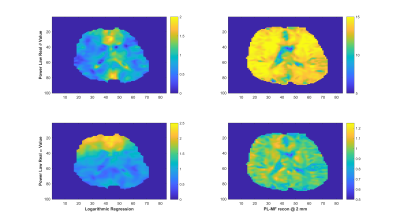 In this study, we investigated three common models using different number of parameters to assess MWF across the corpus callosum and the influence of acquisition flip angle at 7T. In this study, we propose a new scaling approach that translates myelin water fraction into myelin volume fraction using the geometric property of myelin. The method is validated by a histo-imaging dataset. A computer simulation is performed to demonstrate the robustness of the method. 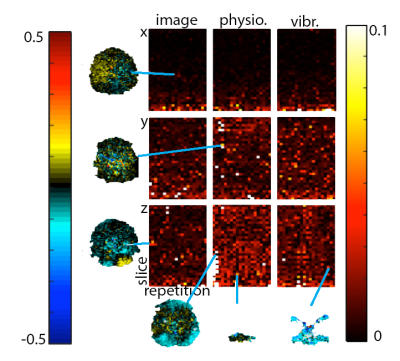 We model the magnetic microstructure of tissue by a colloidal suspension of spherical beads, whose susceptibility differs from that of the surrounding medium. We show that length scale and susceptibility differences of the microstructure can be quantified with good accuracy by imaging the suspension with a multiple gradient echo sequence and fitting the signal as a function of echo time to the results of Monte Carlo simulations. By comparison, the second-order cumulant expansion used in deriving analytic expressions for the signal is a poor approximation at long echo times, even when the dephasing is relatively small over the correlation time. The R2* relaxation in brain's white matter(WM) exhibits a dependency on WM fibre orientation relative to the external magnetic field, B0. 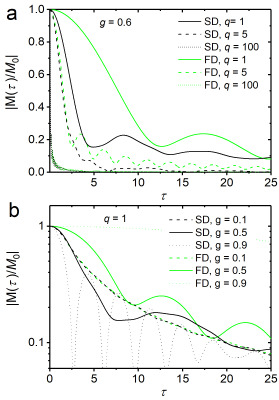 Here, we introduce a computational model based on first principles derived from magnetic field inhomogeneities generated by ferritin and myelin. We investigate their effects on the multi gradient-echo signal by fitting simulated R2­*, over angles 0–90o, to experimental R2*(R2=0.94). By comparing different myelin concentrations, we present how ferritin is required to complement myelin in describing the orientation dependency in R2*. Additionally, we propose a model for mapping R2* as a function of fibre orientation, myelin and iron concentration. The dipolar relaxation time (T1D) is related to motion restricted molecules and could be used to assess myelin molecular dynamics associated with physiopathology processes. T1D was measured with the inhomogeneous magnetization transfer (ihMT). T1D maps were obtained from in-vivo mouse brain and from ex-vivo rat spinal cord at different temperatures. T1D was approximately 5ms in brain and 1.8ms in muscle. T1D in spinal cord was doubled from 26°C to 37°C, reflecting changes in molecular dynamics caused by the temperature rise. Measuring T1D in-vivo could give information about the myelin membrane structure altered in neurological disorders. The purpose of this study was to validate MWF measurements obtained by FAST-T2 at 3T by myelin basic protein (MBP) staining in a postmortem brain. Excellent correlation (R=0.98) was found between MWF and MBP relative optical density measurements. 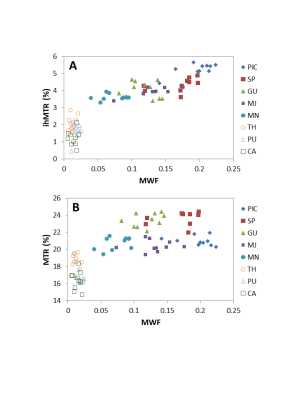 Recently, myelin water fraction has been investigated using mGRE data. The purpose of this study is to investigate effects of the range of TE in GRE based MWF using different three fitting models. The results of simulation and in-vivo data suggest that complex model can be helpful to overcome bias due to susceptibility anisotropy compared to magnitude based models. With the increased frequency of human 7T scanners, there is also a drive towards the implementation advanced MR sequences, such a myelin water imaging, at high fields. Here, we demonstrate the feasibility of translating 3T myelin acquisitions scheme, GRASE, to 7T. We studied the distribution of T2values at 7T and determined that myelin water has a T2<25ms. We obtained excellent agreement for myelin water fraction values in the corpus callosum between 3T and 7T. 63 robust principle component analysis (rPCA) in multi-echo gradient-echo imaging: application in visualizing myelin-related signal without exponential modeling. In white matter, it is possible to describe multi-echo gradient-echo (mGRE) signal as the summation of multiple exponential decays. However, fitting to this model is sensitive to the error in the raw mGRE signal. In this study, mGRE signal is decomposed to a low rank plus sparsity component using robust principle component analysis (rPCA). 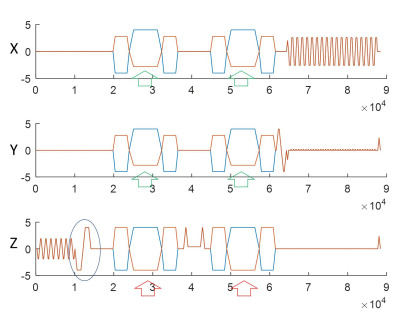 Through this, myelin-related signal was extracted without performing exponential modeling. The sparse signal showed myelin-like contrast similar to other mGRE based myelin water imaging. The biophysical origins of MR signal formation in uniform media such as an axon with its multilayered myelin envelope may produce signal characteristics that can be used to determine status and/or outcome of demyelinating disease. 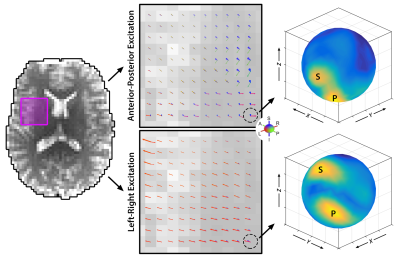 We extend a recently proposed model of neuronal magnetic susceptibility by including the whole dynamic range of diffusion effects to study gradient-echo MR signal decay. 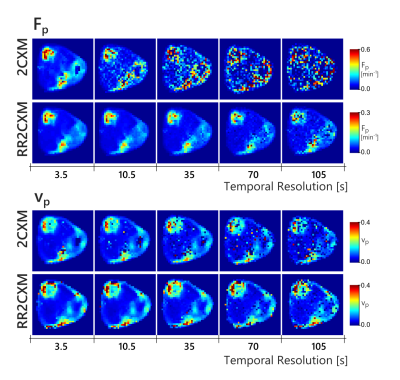 Our results may be used to adjust or control simulation studies on neuronal MR signal decay. Inhomogeneous magnetization transfer (ihMT) is an enhanced magnetization transfer method, which is sensitive to dipolar couplings in white matter. Current spinal cord applications of ihMT use long saturation followed by single-slice acquisitions. As an alternative to this implementation, in our study we implemented and optimized a pulsed ihMT-prepared 3D gradient echo sequence for a larger coverage of spinal cord. The in vivo ihMT results from cervical spinal cord demonstrate potential for future applications of the ihMT in the spinal cord. The inhomogeneous magnetization transfer (ihMT) technique provides a myelin-sensitive signal and has been applied for 3D acquisition in the steady-state. Sequences applied in a segmented fashion, following some magnetization preparation, provide an advantage of allowing insertion of additional modules, e.g. motion correction. An ihMT acquisition in the style of the magnetization-prepared rapid gradient-echo sequence was designed based on considerations of safety, hardware and optimizing the ihMT signal. Whole brain 3D ihMT data with 2.4mm isotropic resolution was achieved in 6-7mins. 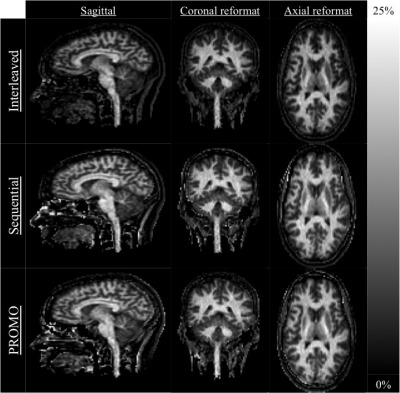 IhMT ratios between 15-20% were measured in white matter areas, and were not significantly modified by inclusion of a prospective motion correction module. Recently an imaging pulse sequence based on selective saturation of the water that drives magnetization transfer from the non-aqueous semi-solid part of the tissues was introduced. This technique allows the estimation of the fraction of the protons in the non-aqueous species. It separates the exchange processes from T1 in a simple way. In the current study, using this technique, we demonstrate changes with age of the non-aqueous species content in porcine spinal cord. Quantitative MRI maps are believed to strongly correlate with myelin and iron contents. Recently, a linear model combining prior information from non-MRI techniques was proposed for quantifying myelin and iron based on relaxometry (R1 and R2*) in post-mortem human brain samples. Here, we propose an adaptation of the linear relaxation model that is capable of predicting (with some limitations) the myelin and iron contents of the brain under in vivo conditions. It uses prior knowledge from the literature to calibrate the linear coefficients and was validated in a cohort of 10 subjects. MR-derived estimates of vessel size and vascular density were used to investigate the microvasculature change of tumor following preirradiation on tumor bed. The hypoxic area exhibited higher vessel size and reduced microvascular density compared with those in normoxic area. The alterations of the derived estimates were more pronounced in hypoxic regions. Significantly positive correlations were found between MRI and histology measurements. 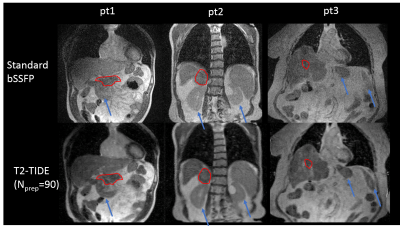 The vessel size imaging technique may be used as an imaging biomarker to characterize the tumor bed effect that occurs in recurrent tumor after radiotherapy. The aim of this work was to study white matter microstructural and molecular changes in a rat model of TBI using CEST and multi-shell diffusion NODDI techniques. Our results suggest that the FA decrease after injury is mainly caused by an increase in fiber dispersion in the white matter, as seen with OD NODDI. MT decrease in the CC suggests an insult to the lipids in the myelin sheath and the NOE signal displays contributions from haemorrhage in the injury time point. Histology work will allow for a more accurate interpretation of the imaging results. 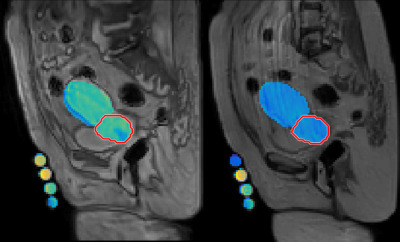 Want to assess the oxygenation status of tumours using non-invasive, contrast-agent free MRI? 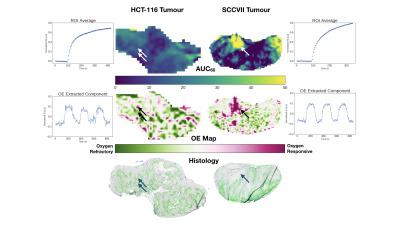 In this work we explore how OE-MRI can be used to extract and amplify signal from oxygen gas challenges in mouse tumours. With only dynamic T1-weighted images we can create rich oxygenation status maps that show high correlation with pimonidazole staining. It’s a major challenge to localize and quantify molecular content in the human brain for in-vivo MRI clinical use. Here, we formulated liposomes to model the environment of abundant lipids in the brain. To investigate the influence of those lipids on relaxation we estimated multiple quantitative MRI (qMRI) parameters. Moreover, we assess the relationship between the lipids’ qMRI parameters and the water fraction (WF). Our findings show that joining multiple qMRI parameters with the WF introduces a novel possibility to separate between different lipids' mixtures. Extending this approach can potentially be used to identify molecular signatures of human tissue in-vivo. Analysis of dynamic contrast enhanced (DCE) MRI using the reference region model (RRM) requires manual identification of a reference tissue, which is typically chosen as muscle external to the tissue of interest. The current work proposes an automated technique, named the self-reference approach, for finding a suitable reference-region curve from within the tissue of interest. This approach was evaluated on in-vivo data from glioblastoma and sarcoma patients, and was found to be equally as effective as manual identification of the reference tissue in most cases, and in some cases provides substantially improved fits. This work proposes a version of the two-compartment exchange model (2CXM) for dynamic contrast enhanced MRI that does not require an arterial input function (AIF). Instead, the proposed model uses the tracer-concentration from a reference region, with the assumption that the AIF is shared between the reference region and tissue of interest. The proposed model was evaluated in simulation and in-vivo where it had comparable performance to the conventional 2CXM with temporal sampling faster than 10 s. With slower temporal sampling, the reference region version had better accuracy and precision than the conventional 2CXM. Differentiation of non-enhancing tumor from surrounding vasogenic edema is critical for planning tumor surgery as well as radiation therapy. Most studies suggested that histology results should be taken as ground truth instead of radiologist’s decision for validating results. 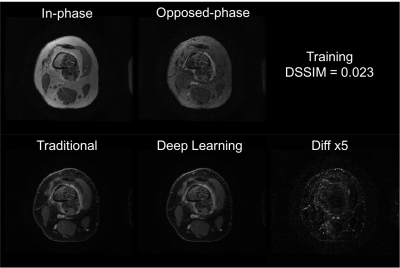 This study is an attempt to differentiate vasogenic-edema from non-enhancing tumor based upon pre and post-surgery MRI images using a SVM classifier. 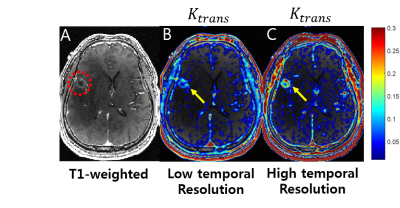 DCE-MRI obtained perfusion parameters were used for classification. A misclassification error of 2.4 % was obtained for differentiating between non-enhancing tumor and edema using a SVM classifier followed by smoothing in post-processing step. DCE-MRI data is generally acquired using spoiled gradient Recalled(SPGR) echo sequence which is highly sensitive to B1 inhomogeneity. The error introduced due to B1 inhomogeneity effect on SPGR sequence is propagated to various perfusion parameters calculated in DCE-MRI. 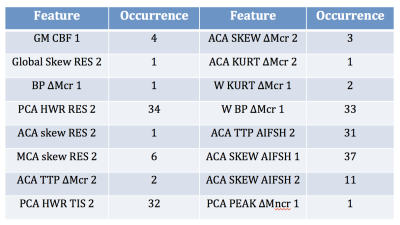 These parameters are used in various clinical analysis such as grading of tumor patients. This study had evaluated the change in perfusion parameters due to B1 inhomogeneity on 35 patients. Further simulations were done to evaluate its clinical significance. 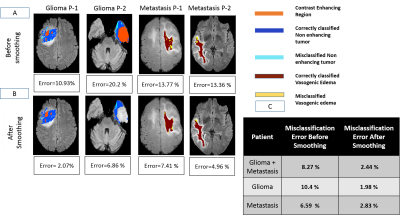 This study concluded that the change in perfusion parameters because of B1 inhomogeneity can change grading of glioma patients. 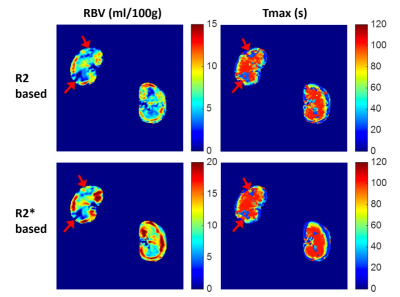 Quantification of absolute R2/R2* instead of the relative signal changes provides T1-independent perfusion imaging, which is beneficial for renal blood volume (RBV) estimations. This study applied the multiple spin- and gradient-echo (SAGE) sequence for renal perfusion imaging in ischemic acute kidney injury (AKI) animals. The results show that Both RBV and Tmax were significantly attenuated during the acute phase of AKI. R2/R2*-derived RBVs were significantly lower in the AKI kidney than that in the healthy contralateral kidney. 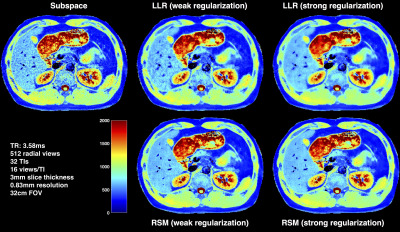 Both R2-based and R2*-based perfusion imaging can be used to detect renal injury in AKI animals. 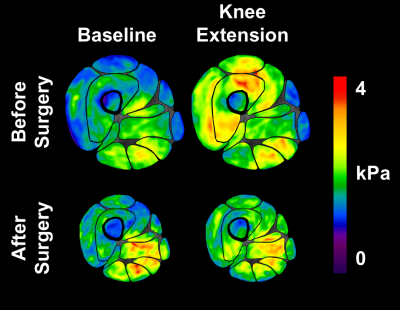 The purpose of this study was to investigate the feasibility and utility of isotropic perfusion maps obtained using multi-band (MB) single-shot echo-planar imaging (EPI) technique. We evaluated the quantitative equivalence between MB dynamic susceptibility contrast-enhanced (DSC) magnetic resonance imaging (MRI) and single-band (SB) DSC MRI, as well as the superiority of registration accuracy in isotropic MB-DSC MRI compared with anisotropic SB-DSC MRI. 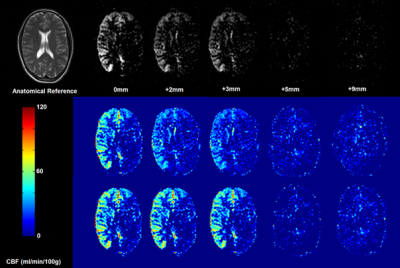 MB-DSC MRI yields isotropic perfusion maps that can improve the registration accuracy and multisection assessment by creating multiplane reconstruction, without deteriorating or altering the quantitative parameters. 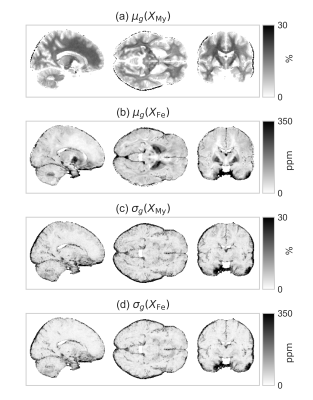 A Monte-Carlo method is used to compute and predict SNR of image data for quantitative DCE-MRI perfusion measurements. This information can be used for quality assurance and to improve imaging workflow. Arterial input functions (AIFs) measured from dynamic contrast enhanced (DCE) MRI following low dose (0.015 mmol/kg) contrast media were compared with AIFs from DCE CT as ‘gold standard’. Twenty prostate cancer patients received CT and MRI scans on the same day. To correct for different temporal resolution and sampling periods, an empirical mathematical model was used to fit the AIFs and calculate numerical AIFs. Convolution was performed to correct for differences in CT and MRI injection times (~1.5s vs. 30s). MRI and CT AIFs were very similar. Therefore, AIFs can be accurately measured by MRI following low dose contrast agent injection. Cervical Spondylotic Myelopathy (CSM) is a progressive central-nervous degenerative disease caused by vertebral volume abnormalities. A certain proportion of postoperative patients suffered the fluctuation of symptoms after spinal canal decompression. Spinal cord blood supply change was reported as one of the crucial pathophysiological process in CSM. MR DTI has been verified as a relative mature technique in assessing neuro-impairment. In this study, we investigate the relationship between spinal cord blood perfusion and microstructure deficit using MR DSC and DTI technique respectively, and find a certain correlation between DSC and DTI metrics. In this work we develop a high spatiotemporal resolution (spatial ~ 1.0 mm3, temporal ~ 1.6 sec) simultaneous DCE MRA and perfusion within a single 4D acquisition exploiting kinetic model based signal priors. 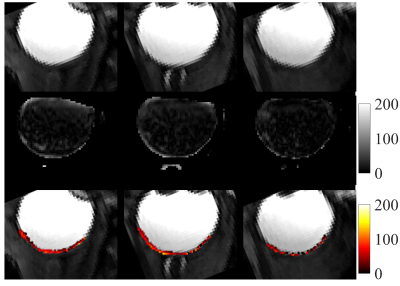 It is demonstrated that the proposed, high spatiotemporal resolution DCE MRI, which enables rapid sampling of AIF, depicts microvascular permeability in pathological tissues (e.g., tumor) much more accurately than conventional DCE MRI (temporal resolution: 5.0 sec). Previous authors have attempted to utilize the microsphere model and a maximum gradient (MG) based approach to estimate cerebral blood flow from DCE MRI data, which, however, was not widely accepted. 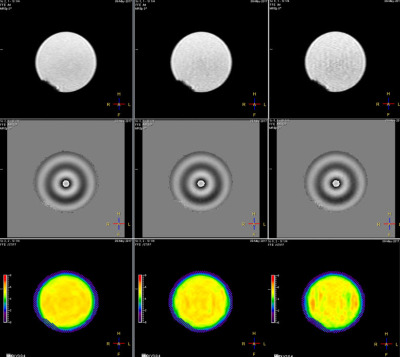 This study developed a new methodology based on the microsphere theory and “early time points” method for mapping absolute CBF, using ultra-low contrast agent dose T1W-DCE-MRI. The new method was assessed using both computer simulation and in vivo data analysis in a patient with GBM, demonstrating that the new method performed better than previous approaches, e.g. 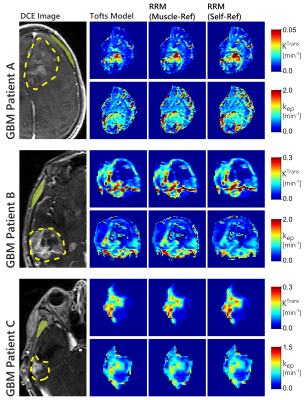 MG-based methods, while using much lower dose than perfusion methods based on DSC-MRI. Abnormal intraocular fluid flow or clearance is involved with a variety of eye diseases such as diabetic retinopathy, but there is a lack of non-destructive methods to assess the permeability directly of water in the eye. 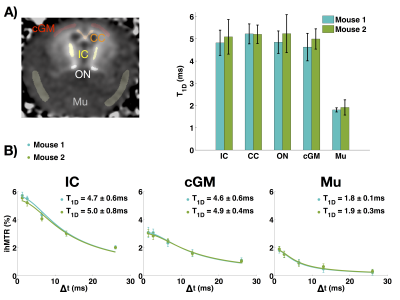 In this study we investigate the feasibility of different MRI sequences for direct imaging of deuterium oxide inflow in the mouse eye. Balanced steady state free precession provided high signal to noise ratio for imaging deuterium oxide in the intraocular fluid, providing dynamic imaging of intraocular water inflow. The ve is limited between 0 and 1 by definition. 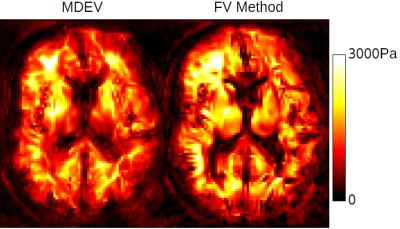 However, we observed large ve when fitted the Toft’s model or its modified version to both Gd-DTPA and D2O perfusion MRI. In this study, we modified the ve to Pas*ve to incorporate the asymmetry permeability into model. Therefore, the region with high Pas*ve in D2O perfusion imaging may be attributed to the blocked pathway of water draining, which could be correlated to glymphatic dysfunction in tumor. 86 ASL meets Machine Learning: Classification of type-2 diabetes and normoglycemia using ASL-derived cerebral hemodynamic features. QUASAR ASL is an arterial transit time insensitive perfusion imaging technique which can be used to unravel hemodynamic patterns. This study evaluates cerebral perfusion hemodynamics using QUASAR in patients with type-2 diabetes mellitus (T2DM) and normoglycemic controls. In addition to standard perfusion parameters, multiple metrics were extracted from five QUASAR-derived curves pre and post acetazolamide injection both globally and locally, from regions adjacent to major vascular territories. Following feature reduction, a binary classification task was performed (normoglycemia vs. T2DM). Necessary steps were undertaken to reassure that the observed results were not due to overfitting. The achieved classification accuracy was 95%. 3D-EPI arterial spin labelling (ASL) at 7T has been shown to provide advantages over 2D-EPI, however its reproducibility has not been determined. Here we assess the data quality of 7T 3D-EPI pulsed ASL data in healthy volunteers (HV) and Multiple Sclerosis (MS) patients demonstrating significantly higher temporal SNR (tSNR) in MS patients. On comparing repeats from two scans, acquired ~3 weeks apart, we observe good reproducibility of CBF estimates with a coefficient of variation of 14.7% in HVs and 12.1% in MS patients. This ASL method can be used to evaluate perfusion longitudinally in clinical cohorts. A blood transit transit heterogeneity (TTH) mapping method is presented based on the regularised fitting of multi-TI pCASL data. The method applies a gamma variate dispersion model to account for upstream flow dispersion and tissue transit heterogeneity. The approach is shown to have sufficient sensitivity to distinguish a range of TTH times in gray matter and results are comparable with previous ROI based approaches. The mapping of TTH has the potential to be a sensitive marker for cerebrovascular dysfunction. Absolute CBF quantification using ASL requires the normalization of the magnetization difference images by the equilibrium magnetization of arterial blood, which is usually extrapolated from the equilibrium magnetization measured in tissue. Although different calibration methods have been previously compared, a number of subtle processing options made in their practical implementation are often assumed or overlooked, compromising the utility of absolute quantification. We systematically compared different calibration methods and associated options in multiple post-labeling-delay pulsed ASL and found that they can severely impact CBF quantification. Our results highlight the need for consistent calibration pipelines for CBF quantification using ASL. A common problem in arterial spin labeling (ASL) perfusion MRI is the relatively low spatial resolution and subsequently the partial volume effects. We evaluated a new deep learning-based super-resolution algorithm for solving that problem. The algorithm successively produced higher resolution ASL cerebral blood flow image from low resolution data, which even outperformed an existing super-resolution method. Our study shows that pCASL based on a 3D segmented fast spin-echo spiral sequence can be performed on a compact 3T (C3T) scanner without the need of second RF transmitter. The high performance gradient system on the C3T can reach 80 mT/m magnitude and 700 T/m/s slew rate without peripheral nerve stimulation, which helps to shorten both the TE and spiral readout length. Both the perfusion-weighted images and the cerebral blood flow maps acquired on the C3T have higher spatial resolution and less off-resonant artifacts compares to those acquired on the conventional whole-body system enabled by the high performance gradients. A quantitative kinetic model for the recently introduced high SNR multiple boli Arterial Spin Labelling technique (mbASL) has been developed and validated both theoretically and experimentally. By varying the labelling inversion thickness, mbASL signal was shown to switch from a pseudo-continuous to a pulsed ASL behaviour. The model reflects the hybrid nature of mbASL, which combines the high labelling efficiency of pulsed ASL with the continuous labelling advantage of pseudo-continuous ASL. We use the mbASL kinetic model produce high SNR cerebral blood flow maps based on mbASL measurements. Pseudo continuous arterial spin labelling (pCASL) suffers from reduced labelling efficiency in extreme flow conditions. 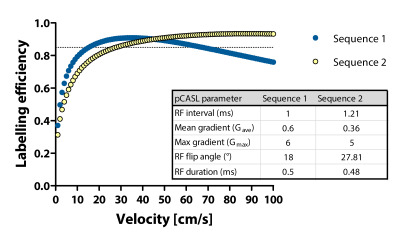 In this work we investigated the sensitivity of labelling efficiency to velocity values measured in vivo to ascertain its variability over a clinically relevant range of velocities. We measured arterial blood velocity in the neck at the level of the labelling plane, and obtained simulated labelling efficiency values, which we found to differ significantly between high and low velocity populations. Changes in labelling efficiency induced by acetazolamide administration may have implications for future work using pCASL for cerebrovascular reserve assessments. In this study, super-selective pseudo-continuous Arterial Spin Labeling was improved regarding the labeling efficiency and used in a volunteer study to evaluate the influence of the positioning of the focus with respect to the labeling efficiency. Previous studies have shown that blood flow in the human retina can be measured using MRI. These studies used single-slice 2D pseudo-continuous arterial spin labeling (pCASL) which has limited spatial coverage and resolution, and is susceptible to through-plane eye motion. In this study, a pCASL with zoom-3D TSE VFA acquisition was developed to provide whole-eye coverage with 0.5×0.5×4mm3 resolution and reduced motion induced image blur. This approach should prove useful for studying different retinal disorders such as glaucoma, diabetic retinopathy and retinal ischemia. Arterial spin labeling (ASL) of the kidneys provides several advantages for the evaluation of kidney perfusion including contrast agent free studies while allowing multiple scans over a short time period. 3D acquisition provides higher SNR and with centric k-space encoding provides a well-defined post-labeling delay which makes background suppression pulses more effective. Prior techniques for 3D ASL perfusion imaging employed segmented GRASE with multi-TI FAIR and segmented TSE with pCASL. These acquisition schemes can be limited in resolution or require coached breathing along with providing limited coverage over an extended scanning time. In this work, we used non-segmented 3D EPI pCASL with coronal acquisition to efficiently image the two kidneys in a shorter time (nominal time 2:15) with increased control-label pairs. Background suppression and saturation pulses were also employed to reduce tissue related noise and signal from aorta, respectively. Cortical and medullary perfusion values were calculated in seven subjects which matched well with values from literature. In addition, good correspondence with transverse slab acquisition as well as good repeatability was shown. Phase wrapping in MR Elastography (MRE) limits the dynamic range of the displacement information that can be reliably measured. We developed a novel framework that simultaneously acquires data with 2 levels of motion sensitivity, and processes this data in a manner which increases the dynamic range of the accurately measured displacements by 8-10 times. Both shear wave and large bulk (rigid-body) motion in brain can be characterized in a single scan. A 3D gradient-echo EPI MR Elastography pulse sequence has been developed using a hybrid radial-Cartesian readout scheme, named Trajectory Using Radially Batched Internal Navigator Echoes (TURBINE). The feasibility of this TURBINE-MRE sequence was demonstrated in a phantom study. Interventional MR Elastography (MRE) and thermometry (PRF) using the Simultaneous Image Refocusing (SIR) technique is proposed in order to monitor changes in temperature and biomechanical properties during thermal ablations, in multiple contiguous slices. Compared to the conventional GRE-MRE sequence, two slices are acquired in each TR, with a single motion sensitizing gradient and similar fractional motion encoding. Elasticity maps obtained with SIR-GRE MRE are validated against reference single slice GRE-MRE. Preliminary experiments show the potential of contiguous multislice acquisition to monitor the volumetric extent of the heated area obtained with High Intensity Focused Ultrasound (HIFU) in a phantom. We have developed a finite-volume based elasticity recovery method for Magnetic Resonance Elastography. The method accommodates heterogeneity and compressibility, uses only first derivatives, avoids matrix inversion and can be calculated in a highly efficient stencil format. We compared the method to a Helmholtz-type wave inversion. Visually, the method shows sharper rendering of cracks and boundaries. Quantitatively the values of the new method differ from a Helmholtz-type method in proportion to the severity of interfaces, which likely reflects the new method's sharper rendering. The resolution and sensitivity of the method lower the inherent stability, which we address here with a simultaneous multifrequency wave inversion. Future work will introduce sparsity-promoting regularization to deliver both stability and structure. The purpose of this work is to increase GRE-MRE sequence flexibility by generalizing the multi-shot eXpresso approach. 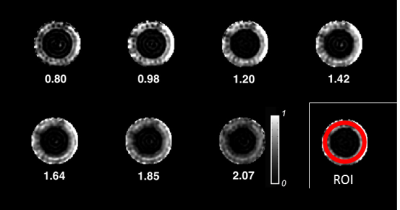 We show that Ristretto MRE allows for the fine-tuning of imaging shot durations in both multi-slice and 3D-MRE acquisitions permitting significant scan time reductions without loss of image quality. MR Elastography is valuable in evaluating biomechanical stiffness of tissues, which can exhibit marked changes in case of disease. However, the number of cardiac MRE studies remains limited due to challenges in measuring the dynamic muscle tissue using existing MRE sequences and hardware. Here, we aimed to acquire reliable cardiac MRE data by combining a gravitational transducer driven by a novel synchronising strategy with a single-shot SE-EPI-MRE sequence with flow and acceleration compensated motion encoding gradients to image the myocardium in different cardiac phases. Our method reveals higher myocardial stiffness, agreeing with results from biomechanical models/simulations, conflicting with current literature. We propose the use of compressed sensing (CS) for Magnetic Resonance Elastography (MRE). 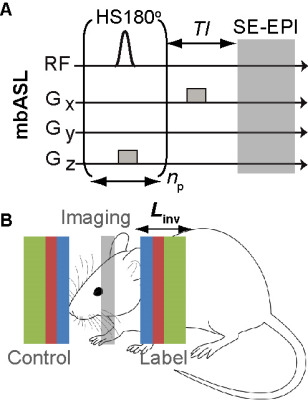 Through validation in a gel phantom and subsequent measurement of liver stiffness in vivo, we demonstrate that CS MRE can be used to accelerate image acquisition, thereby shortening breath holds. 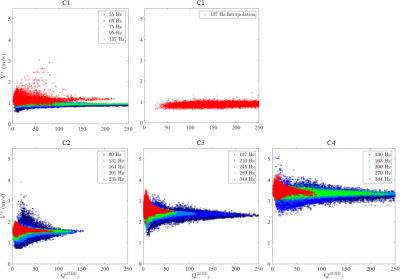 A novel magnetic resonance elastography (MRE) sequence, combining inversion recovery (IR) with MRE, is introduced to quantify poroelastic properties of biphasic materials. The method is demonstrated on custom-made tofu phantoms featuring biphasic tissue properties with different porosities and elastic moduli. IR-MRE allows for the first time to study the individual fluid and matrix motion in a biphasic medium and the interactions between the two. The same technique applied to in vivo brain also confirms fundamental predictions of poroelasticity theory and demonstrates the transferability of IR-MRE from simple biphasic model materials to complex living tissues. Establishing the ideal 3D-matrix for organ regeneration is one of the big challenges in regenerative medicine. The mechanical properties of the extracellular matrix (ECM) are incompletely understood, partly due to the limited availability of volume-based mechanical test methods such as MRE. Therefore, we used a 0.5 T compact tabletop MRE system and measured the change of stiffness in rat livers due to decellularization and cell wall disruption by lysis. While the viscoelastic properties of intact liver tissue are determined by cells and can be described by a power law behavior, decellularized tissue has more solid-like properties following a Kelvin-Voigt-model behavior. Magnetic Resonance Elastography (MRE) allows to non-invasively characterize the mechanical properties in vivo. The reconstruction performance is challenged by multiple experimental parameters, which can be grouped into two more comprehensive parameters: number of voxels per wavelength and acquired displacement field quality. In a previous in silico study, we have demonstrated that appropriate λ/a condition is crucial for accurate and precise MRE and proposed a quality parameter to effectively evaluate the voxel-wise reconstruction quality. This study experimentally validated these simulation findings on commercial model phantoms. Magnetic Resonance Elastography (MRE) is a validated method for staging hepatic fibrosis utilizing MR images of acoustic wave propagation in the liver to measure hepatic stiffness. A new MRE analysis workflow, called ALEC, in which readers are presented with preliminary, automatically generated, ROIs was validated in a clinical environment using 1347 exams. The workflow failed in <1% of cases. Manual modification was performed on 18% of the exams, leading to a stiffness change of only 1% on average. The ALEC-assisted stiffness measurement workflow offers a faster and more reproducible way to perform MRE. Magnetic Resonance Elastography (MRE) is a non-invasive MRI based technique for quantitatively assessing the mechanical properties of tissues. It was formerly demonstrated in a simulation study that 6 to 9 voxels per wavelength is needed to properly quantify the mechanical properties of the tissue. This study investigates the precision and the accuracy of shear wave velocity in two organs at different mechanical excitation frequency and spatial resolution to validate in vivo the optimal conditions of ERM outcomes. Age-related weakness and strength has been shown to have an anatomical basis, with stability of the knee being particularly prone to effects of ageing. 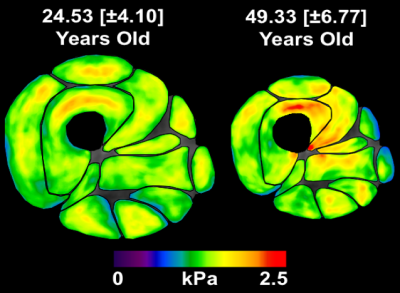 Magnetic Resonance Elastography (MRE) was used to obtain muscle size and stiffness measurements in a ‘Younger’ and ‘Older’ group of participants. It was found that the Quadriceps muscle group were primarily impacted by age related atrophy, whilst also increasing in stiffness with age. Furthermore, the muscles along the medial side of the leg showed significantly lower muscle stiffness in ‘Older’ participants which we determined to be a biomarker for age-related anatomical instability. Poroelastic and viscoelastic inversions in a 1Hz experimental MR Elastography phantom system were investigated theoretically, numerically, and experimentally. At low frequencies, viscoelastic models have a non-uniqueness issue that can be avoided by using a poroelastic model, which has an additional fluid force term to balance elastic forces when inertial forces are negligible. Numerical experiments showed poroelastic models have much higher sensitivity to global property changes compared to viscoelastic models. 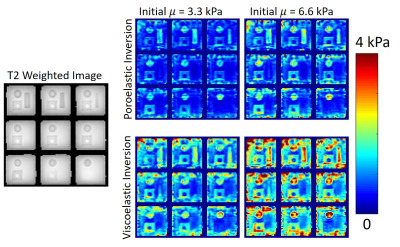 Inversions of experimental phantom data with a poroelastic model gave cleaner images that are less sensitive to initial property estimates compared to a viscoelastic model. Dynamic Magnetic Resonance Elastography (DMRE) is a novel imaging technique which allows the quantification of muscle characteristics during a loaded MRE scan. Thigh muscle loading results in increased muscle stiffness. DMRE offers clinicians new insights into muscle engagement which aids in diagnosis and treatment for musculoskeletal pathologies. This work has shown DMRE is a sensitive tool to detect active muscle engagement. In this study, Dynamic Magnetic Elastography (DMRE) is applied to a clinical cohort. DMRE scans were carried out in patients with severe OA pre and post-op Total Knee Replacement. Muscle recruitment was identified through increased muscle stiffness. Post operatively, muscle stiffness changes observed during dynamic loading were markedly less compared with their pre-op scan. This study supports the use of personalised targeted physiotherapy in muscle rehabilitation. Magnetic resonance elastography (MRE) is an emerging MRI technology that enables in-vivo quantitative assessment of tissue stiffness, which changes with age and in disease states. The accuracy and precision of brain MRE property maps are generally noise-limited; however, most noise assessments don’t appropriately consider contributions from physiological and mechanical noise sources, such as cardiac pulsation, table shaking, and imperfect actuation. In this work, we designed and carried out experiments to isolate these sources of noise. We found increasing noise from physiological vibration sources with varying behavior through space and time. MR elastography (MRE) is capable of measuring the mechanical properties of the human brain; however, MRE generally assumes isotropic properties and misses the anisotropic behavior of brain white matter. Anisotropic MRE methods are under development, and the use of multiple wave propagation directions is likely necessary for accurate inversion. In this work, we characterize waves in brain MRE from multiple excitations and evaluate whether sufficient wave propagation is present. We find that multi-excitation MRE motion fields in the brain exhibit wave content in white matter tracts sufficient for anisotropic inversion. 67 3D Magnetic Resonance Elastography of the Lungs in A Breathhold: A Reproducibility Study. Lung stiffness changes with different diseases; in which some diseases make the lung stiffer while others make it softer. This study was performed on 15 healthy volunteers to validate the reproducibility of proposed technique and to determine a base line shear stiffness of healthy lungs at both residual volume (RV) and total lung capacity (TLC) by using magnetic resonance elasotgraphy (MRE). It was found that the actual shear stiffness of the lung at RV is 0.66±0.11 kPa and at TLC is 1.05±0.31 kPa. Also, the technique was successfully reproducible with high correlation coefficients (R2=0.879 at RV and R2=0.961 at TLC). MR elastography (MRE) is a phase-contrast MR technique in which the shear stiffness of soft tissues can be estimated. Helmholtz equation-based inversion is used to obtain stiffness of interest from MRE measurements. It is challenging to accurately estimate stiffness due to the presence of noise. In this work, an inversion method based on unconstrained optimization has been proposed where noise is reduced from the measured data while the sparsity of stiffness map in wavelet domain is being explored. 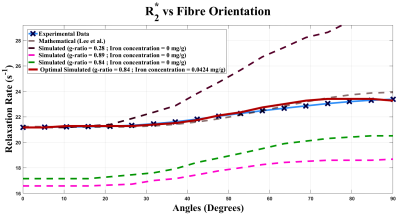 Results demonstrated that optimization yielded more accurate stiffness estimation with lower root-mean-square error and lower maximum error when compared to local-frequency estimation. This abstract presents a non-linear inversion based power-law multi-frequency MR Elastography reconstruction, capable of reconstructing images at resolutions finer than the acquired displacement data. Reconstructed power-law parameters are compared with those obtained by logarithmic regression based on mono-frequency reconstructions of the same data. Magnetic Resonance Elastography (MRE) provides quantitative measures of the mechanical properties of biological tissues. As MRE becomes more widely used, it is important to assess different methods of data acquisition and analysis. In this study, a comparison was made between 3 field strengths using Multi-frequency duel Elasto Visco inversion (MDEV) and the new MREdge pipeline. Both inversions demonstrated significant differences in stiffness at each field strength, MDEV also displayed excellent correlation at 1.5, 3 and 7T. MDEV remains the preferred method of inversion with MREdge offering the prospect of an automatic pipeline which provides stiffness estimates for specific brain regions. 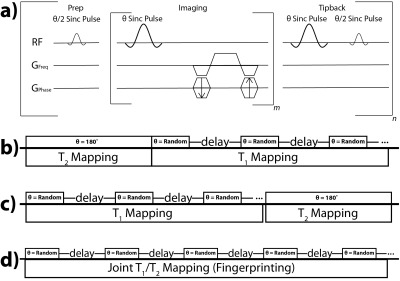 71 Real-time ECG-gated continuous vibration multi-shot spiral elastography acquisition: application to time-resolved cerebral stiffness measurements during arterial pulsation. We implemented a versatile spiral MRE sequence that synchronizes the acquisition in real-time to a continuous harmonic vibration. 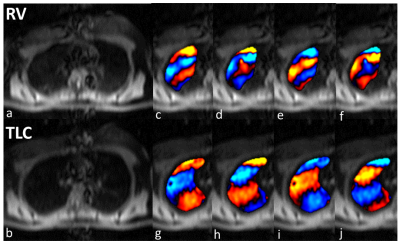 Using multi-shot gradient echo readout and fractional motion encoding, multiple phases can be acquired in the cardiac cycle with high temporal resolution. Optionally, prospective respiratory gating and slice tracking allow for imaging moving organs like the heart or the liver in free breathing. As a first application, we measured cerebral stiffness maps in multiple phases of the cardiac cycle to detect changes induced by arterial pulsation. We assessed the relationship between microstructural measures derived from diffusion tensor imaging (DTI) and shear moduli estimated from magnetic resonance elastography (MRE). We also compared the predictive power of fractional anisotropy, storage and loss moduli, estimation using nonlinear inversion (NLI) to model age in humans. Our results suggest some statistical relationship between MRE measures, particularly the loss modulus, and microstructure (FA, RD). The decrease in FA with age is accompanied by an increase in viscosity, especially in association fibers (Superior Longitudinal Fasciculus). The regional MRE measure provides more predictive power than the best regional FA. The rapid decline of transmit B1 ( B1+) toward the inferior brain regions and large B1+ inhomogeneity across blood feeding arteries at the labeling plane impose great challenges for high quality pseudo-continuous arterial spin labeling (PCASL) brain imaging at 7T. Recent studies at 7T have suggested that dynamically applied B1+ shimming solutions separately targeted to imaging and labeling regions can help to overcome these challenges. 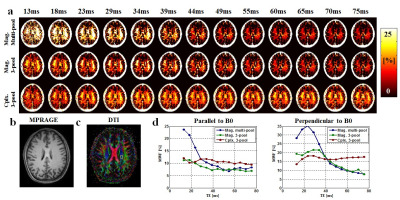 We implemented and evaluated the dynamic B1+ shimming approach for PCASL brain imaging at 7T, demonstrating that such an approach can greatly improve B1+ performance for blood tagging. 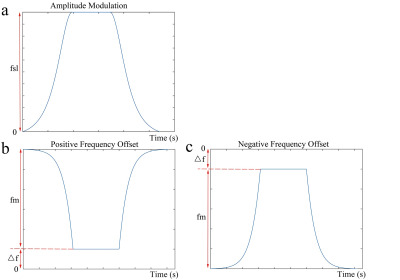 Adiabatic RF pulses can be used for simultaneous compensation of B1 RF and B0 field inhomogeneity during continuous wave constant amplitude spin-lock. However, due to a relatively long duration of the adiabatic RF pulses, the relaxation effect during the adiabatic RF pulses can introduce a non-negligible effect on the conventional mono-exponential model used to describe T1rho relaxation during the spin-lock. Consequently, quantification using the conventional model can introduce errors. Based on Bloch equations, we derived that such relaxation effect contributes a DC component to the conventional mono-exponential model. We used simulation and in vivo MRI scan to demonstrate our theory. 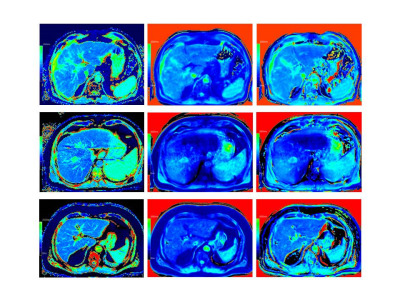 MRI has become the mainstay for noninvasive fat quantification in liver in routine clinical practice. To quantify fat fraction, the Dixon method is used most often. However, it is associated with a nontrivial image reconstruction process. In this study, we aim to perform fat quantification using the slice-selective gradient reversal (SSGR) technique, which was proposed previously but has not been validated in human liver. Our evaluation shows that the technique can efficiently separate water and fat, quantifying fat fraction that is highly correlated with that using the Dixon method. MRCDI is a novel technique, utilizing different phase-sensitive MR methods for non-invasive measurements of weak currents in the human body, which is important in several neuroscience applications. 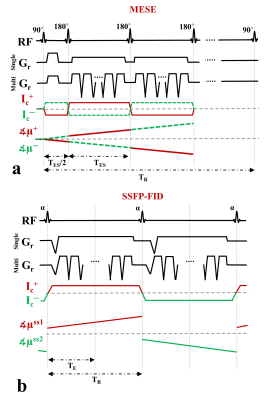 Here, we compare the in-vivo performance of two different MR methods, multi-echo spin echo (MESE) and steady-state free precession free induction decay (SSFP-FID), with single- vs. multi-gradient-echo readouts. We demonstrate that multi-gradient-echo readouts improve both methods. We validate the linear dependence of the measured current-induced magnetic field on the injected current strength for both methods, and propose the more efficient SSFP-FID method as being well suited for highly sensitive single-slice human in-vivo MRCDI. The feasibility of water-fat separation using an end-to-end ConvNet approach was demonstrated for complex, magnitude and single echo acquisitions. The ConvNet approach showed images visually comparable to the GraphCut method with slightly higher signal to noise in typical cardiac image planes. Quantitative PDFF, R2* and off-resonance values had excellent correlation with a conventional analytical model based method. ConvNet based water-fat separation is a promising method capable of learning the water-fat separation problem with corrections for bipolar gradients, a multi-peak model, R2* and off-resonance. The water-fat separation techniques using a multi-echo GRE sequence has suffered from an inaccurate and swapped water-fat separation results caused by several issues. In the abstract, we propose a robust water-fat separation method using patch-based neural network to overcome this problem. 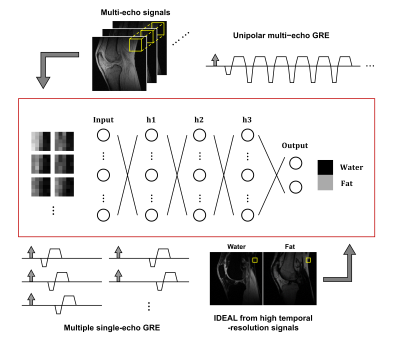 The neural network is trained using the relationship between the multi-echo images obtained from the multi-echo GRE sequence and the reliable water-fat separated images that are reconstructed by IDEAL from the multiple single-echo GRE acquisitions with different echo times. The in-vivo experiment results show the proposed method can successfully separate accurate water-fat images from the multi-echo GRE images in comparison with IDEAL. Inversion recovery (IR) based single-shot approaches have become popular for rapid T1 mapping. Due to the highly accelerated nature of the acquisition, it is challenging to generate high quality contrast images and T1 maps from this dataset. To tackle this problem, we present a non-local low rank regularization model that is inspired by block matching approaches. For a given relaxation signal, we identify the top L similar relaxation signals within a spatial neighborhood and constrain them to have a low rank. We demonstrate this approach in single-shot high-resolution radial steady-state-free-precession (SSFP) brain and abdomen imaging. 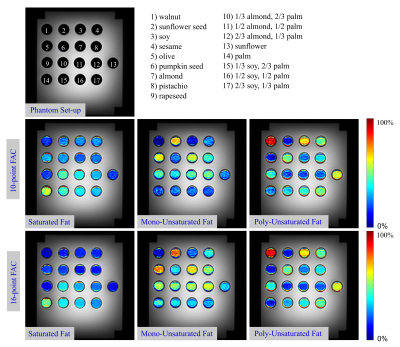 This work investigates the accuracy and precision of T2∗ estimated from standard water–fat imaging techniques with respect to the a priori assumed fat spectrum. A bias in measuring T2∗ with a low number of echoes and a mismatch of the a priori to the true fat spectrum is detected. Through simulations and in vivo scans it is shown how the bias is reduced by increasing the number of echoes. Results also indicate remaining inaccuracies due to a mismatch in the assumed fat spectrum to the true fat spectrum in a voxel. Image distortion is a common problem in EPI-based MR elastography (MRE) acquisitions, especially in regions with high susceptibility, including regions adjacent to air-tissue interfaces, such as the paranasal sinuses and the prostate. 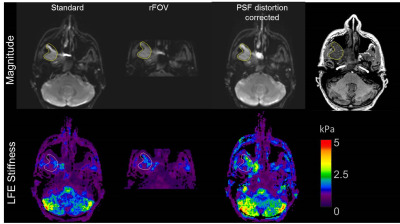 In this study, we explored a reduced-field-of-view (rFOV) technique and a point-spread-function (PSF) mapping EPI correction method to reduce or correct the distortions in EPI MRE images of brain tumors and the prostate. Water-fat separation is widely used in many MR applications and is known to be challenging in various situations. Traditionally, region growing, spatial smoothing, and global optimization have been applied in dual echo water-fat separation. 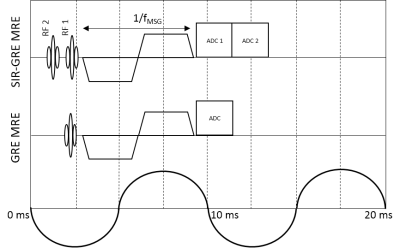 These methods require complex-valued images acquired at two echo times and occasionally suffer from global or local swaps due to inaccurate field map estimation. In this work, a deep learning approach for dual echo water-fat separation is investigated. 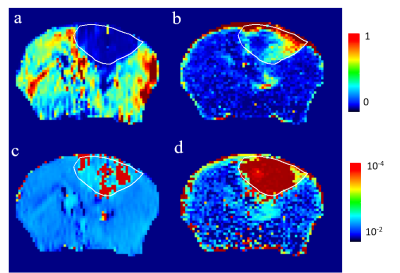 Multi-echo MRI data can be used to quantify the fatty acid composition of human adipose tissue. 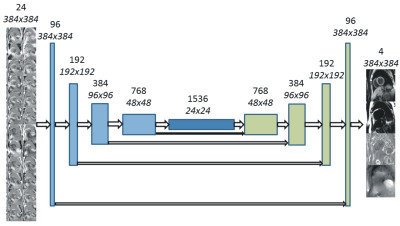 The total echo train readout length and the number of acquired echoes are important parameters affecting the overall accuracy of the fatty acid parameter maps. The purpose of this study was to quantify the expected error in fatty acid estimates depending on the used total echo train readout length, using an oil phantom at 3T. Echo train readout lengths of at least 13-14ms were required to accurately estimate the different fat components. Shorter echo train readouts led to less accurate parameter maps. This study aimed to explore the feasibility of magnetic resonance T1 and T2 mapping techniques in the evaluation of early complications of lens in type two diabetes mellitus. 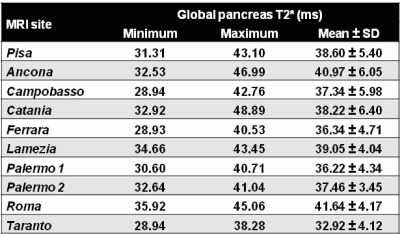 Patients with type two diabetes mellitus with negative eye slit lamp examination and control group underwent eye MRI scanning, T1 and T2 mapping sequences were collected, and two samples t test was used to analyze the differences of T1 and T2 values between groups. 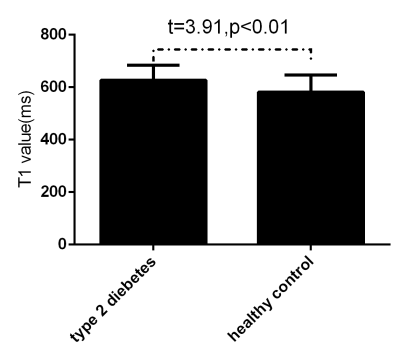 The values of T1 and T2 in diabetic group were significantly higher than those in control group. Magnetic resonance T1 and T2 mapping techniques can detect abnormal lens in diabetic patients with negative slit lamp examination. A T2-transition into driven equilibrium (T2-TIDE) technique along with compressed sensing reconstruction was proposed to generate 3D T2-weighted images in a single breath-hold for radiotherapy treatment planning on a low-field MRI-guided radiotherapy system. Phantom and volunteer studies were performed to determine the optimal parameters that provided the best contrast. Five patients with abdominal tumors were recruited to compare the proposed T2-TIDE technique with the conventional bSSFP approach. Improved tumor/organ contrast were observed for all five patients, indicating the superior quality of T2-TIDE technique for tumor/organ delineation. T1 and T2 maps were acquired at 1.5 T in three cervical cancer patients (52.3±9.0 years) receiving brachytherapy and external beam radiation therapy. Measurements occurred at weeks 1, 3, and 6, where possible. The average T1 values were 1448.2 ± 209.1ms in the uterus and 1242.9 ± 202.4 ms in the tumor tissue (cervical carcinoma). The average T2 values were 86.4 ± 15.6 ms in the uterus and 81.1 ± 20.6 ms in the tumor. There was no significant difference in the T1 and T2 in the uterus and tumor based on an analysis of variance. 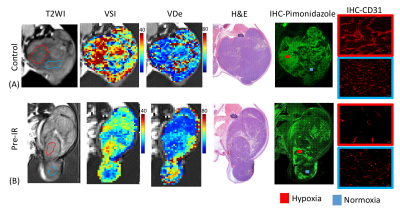 Hyperpolarized 13C imaging development has enabled monitoring of different physiological processes, such as metabolism and perfusion, in various diseases, such as cancer and diabetes. The relaxation parameters T1 and T2 are essential in sequence optimization and modeling, and can be used for assessment of healthy versus diseased tissue. The goal of this project was to develop and apply simultaneous in vivo T1 and T2 mapping of hyperpolarized 13C probes using bSSFP sequence. Results indicated multiple approaches can be used to obtain high resolution T1 and T2 maps. Magnetization Transfer (MT) MRI has proven valuable in imaging the Locus Coeruleus (LC) and Substantia Nigra (SN). The MT contrast in the LC and SN is assumed to be caused due to the accumulation of neuromelanin. An agar-based phantom containing samples of two neuromelanin models was compared to the in vivo human LC and SN. MT spectra and relaxation times of the phantom, LC and SN were measured. While LC and SN show less MT effect, the phantom does not show neuromelanin-specific MT contrast, suggesting that these models are not representative of the in vivo LC and SN. A magnetic resonance thermometer with liquid crystal compartments was designed and prototyped to provide a method of non-invasively measuring temperature when imaging MR phantoms. We successfully demonstrate the liquid crystal MR visible (LC-MRV) thermometer using different, fast, sequences on both pre-clinical and clinical systems. The LC-MRV thermometer is designed to exhibit rapid cholesteric to isotropic transitions in the room temperature range spanning 15.0°C to 25.0°C in 0.1°C to 1.0°C increments. It is demonstrated that the LC-MRV thermometer is resilient to large magnetic fields and therefore variations in the magnetic field, providing an accurate determination of the temperature during quality control scans where bore temperatures can vary day-to-day and scanner-to-scanner. It also provides a rapid assessment of temperature changes over the duration of the scan. The purpose of our study was to investigate the accuracy of amide proton transfer (APT) imaging using the Dixon method. Five samples were prepared from egg white albumin at the different concentration diluted with phosphate buffer solution. We measured APT signal intensities of the phantoms using the conventional method with separate B0 map and the TSE-Dixon method. No statistical significant differences were found among the APT weighted signals measured with the two different acquisition methods at each concentration. 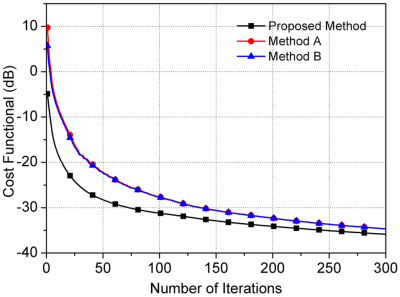 The TSE-Dixon method enabled shorter acquisition time and had an equivalent quantitative accuracy compared to the conventional method with separate B0 mapping. 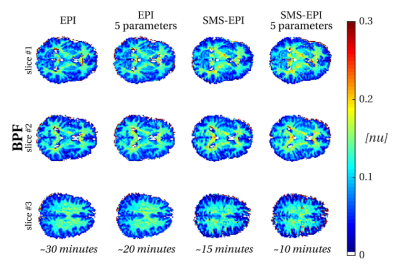 Integral-based Magnetic Resonance Electrical Properties Tomography (MR-EPT), has seen rapid development in recent years. Compared with differential-based MR-EPT methods, integral-based methods are less sensitive to measurement noise and free from boundary conditions. The integral-based MR-EPT methods rely on the global convolution between the Green function and the contrast source, and also require the knowledge of incident fields. This study investigates a novel method to approximate the contrast source, and then utilizes this approximation to calculate the incident electric fields. 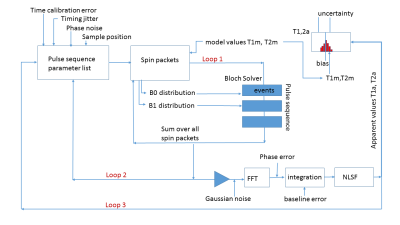 A Monte Carlo Bloch solver has been developed and used to establish the bias and uncertainty of T1, T2 values in primary reference solutions for MRI phantoms. Errors and uncertainties are on the order of 1% when using a NMR system and robust pulse sequences. Errors and uncertainties in MRI systems are much larger, 5% to 40% for T1 values. The Monte Carlo Bloch solver can help determine uncertainties and imperfections in a scanner and then determine the bias and uncertainty of measured biomarkers for different pulse sequences. At present, the source of the large errors and scanner-to-scanner variation in T1 and T2 measured using the NIST/ISMRM system phantom are unknown. 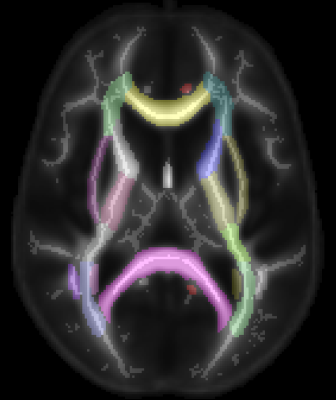 Arterial Spin Labeling (ASL) is a magnetic resonance imaging (MRI) technique for measuring cerebral blood flow (CBF). Here, we present data on the reproducibility of measuring CBF with time-encoded multi post-labeling delay (PLD) pseudo-continuous ASL (pCASL) in a healthy volunteer compared to a flow phantom. This work shows the potential of using a flow phantom to assess the reproducibility of quantified CBF with ASL. Two methods for T1 mapping – 2D Look-Locker (LL) and 3D variable-flip-angle (VFA) combined with a 2-point-Dixon technique – were compared in phantom and patient measurements. LL yielded reliable results with homogeneous T1 maps of the liver, but was restricted to 3 slices. VFA yielded T1 mapping of the whole liver, but the homogeneity of T1 values across the liver was reduced which led to marked reduction of mean T1 in some patients compared with LL. The VFA variants based on in-phase and water signals showed differences in T1 for increased hepatic fat. 3D QALAS is a promising new technique that simultaneously maps T1, T2, and PD in a single 3D acquisition. Both 3D QALAS and 2D MAGIC were applied for synthetic imaging and quantification in human brains. While T1 and T2 values were comparable between the two techniques, 3D QALAS was simpler to process and achieved smaller voxel sizes over larger matrices with similar acquisition times, resulting in less partial volume effects. 2D MAGIC maintained the high in-plane resolution and efficiency of an interleaved multi-slice technique. 3D QALAS thus presents an attractive quantification method for therapy planning and tissue volume measurement applications.